Wow! I am in love with this! Thank you so much for sharing, I love your blog! What a timely post! 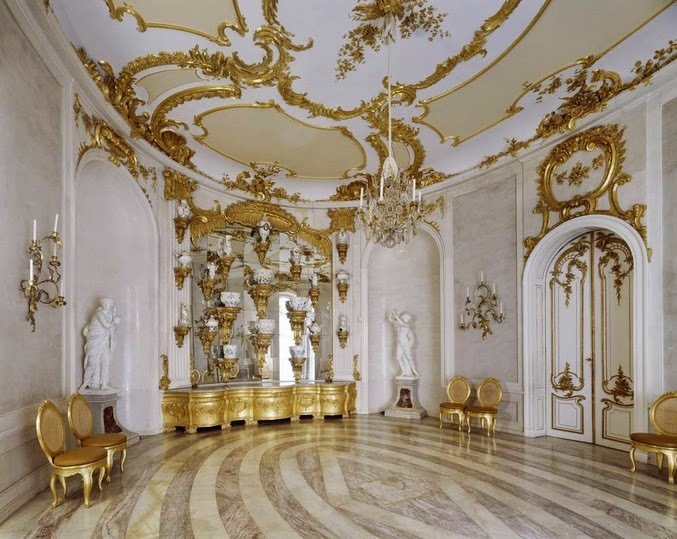 It's such an inspiration to go back and visit these deliciously decadent, aristocratic palaces and the decorations within. 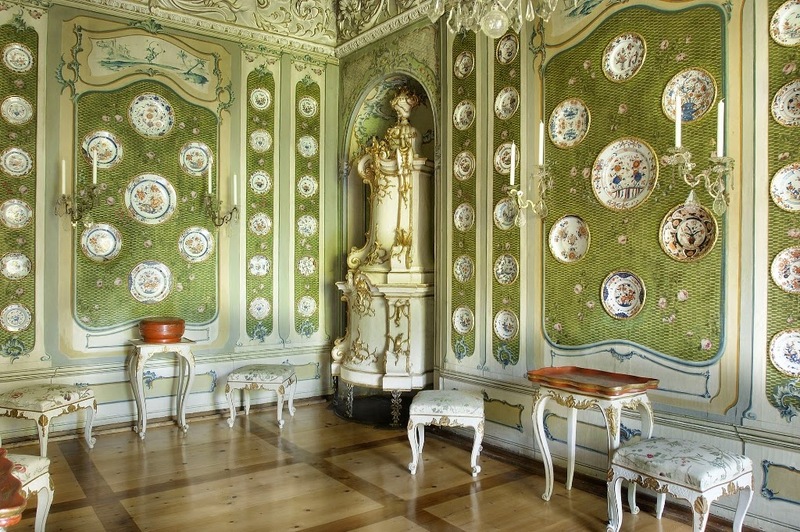 To make it understood by the average American, those porcelain rooms were the "home theater" of the 18th century! 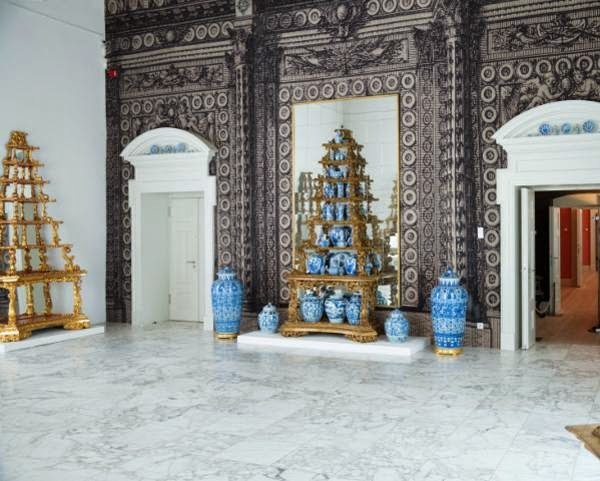 We stare at a flat screen, they stared at fabulous porcelain collections! 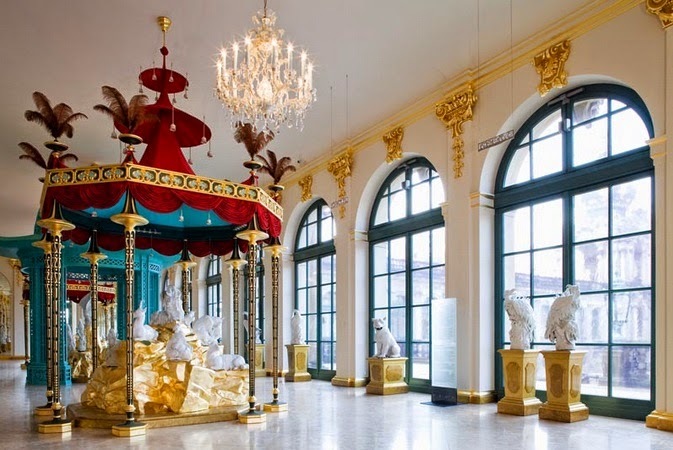 I think, if I had to choose just one, it would be Sanssouci- Thanks for posting, and also for the recanting of the NYT piece on too much social media- ! Perhaps social media is our version of doing petit point by the fireside? The pratfalls of Social Media can easily be avoided. Those amusing but non-relevant posts will still be available later if one choses to devote the time to go back and read them. But the treasures are abundant and just at one's fingertips. (How many hours during earlier times were spent going through card catalogs and microfilm only to often come up with nothing?). 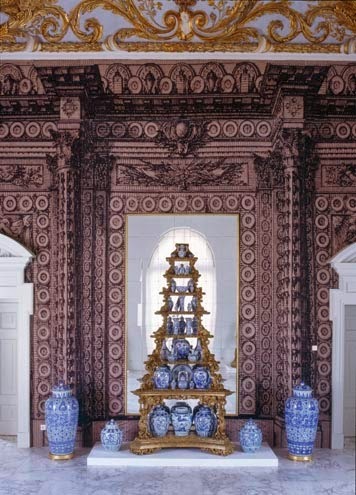 The first and last images of The Chinoiserie Pagoda is a verbatim copy of the ARCHITECTURALWATERCOLORS.COM rendering of a Garden Tent for Marie Antoinette at the Petit Trianon, sadly never built. 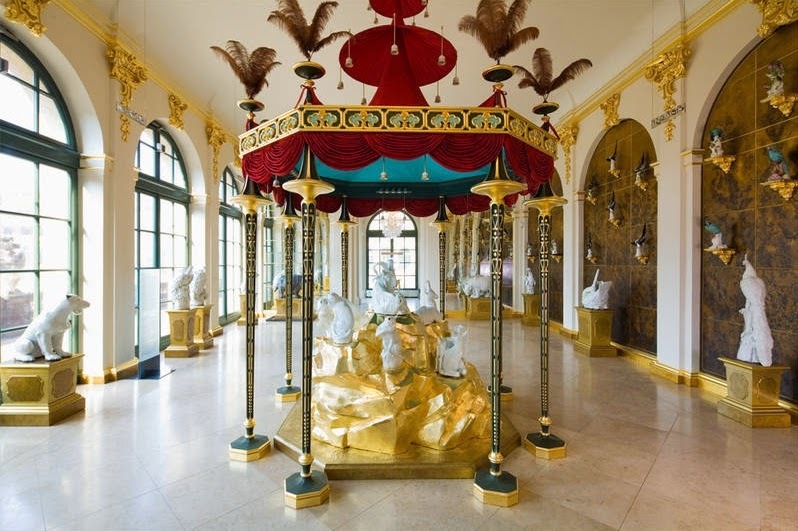 Interesting too see it was and by Peter Marino in a Palace no less! As I own the original rendering, I will forward this to Bernd and Andrew whom I'm sure already know of this interpretation...one of many inspired by their talent and vision! Sorry...the first and 'second' to last images are what I meant - love the post and porcelains...a most forgotten piece in today's Collectors collections. 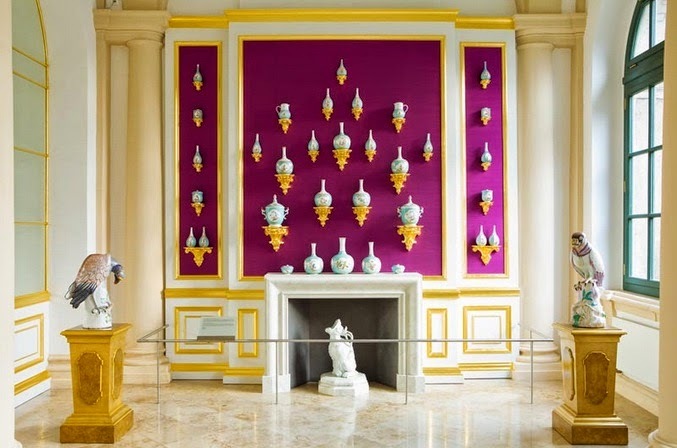 The room with the magenta wall and gold trim is my favorite. However, as a Bay Area denizen, I can't help but worry about earthquakes! I assume museum wax is everywhere. 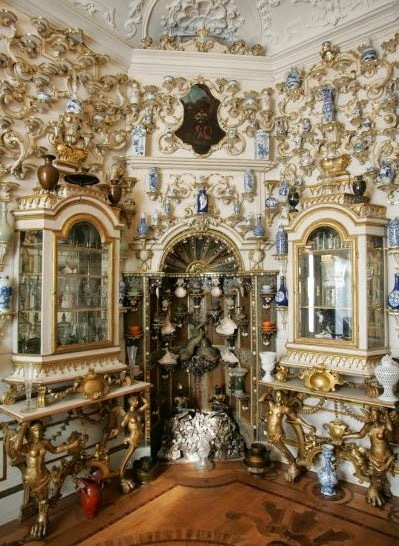 Jennifer, it is very easy to go down the rabbit hole...however discoveries like these fabulous rooms do make it so worthwhile! Thank you! Gorgeous items - some of the porcelain patterns made me think of the masonry/ceramic antique stoves throughout Europe. So beautiful. 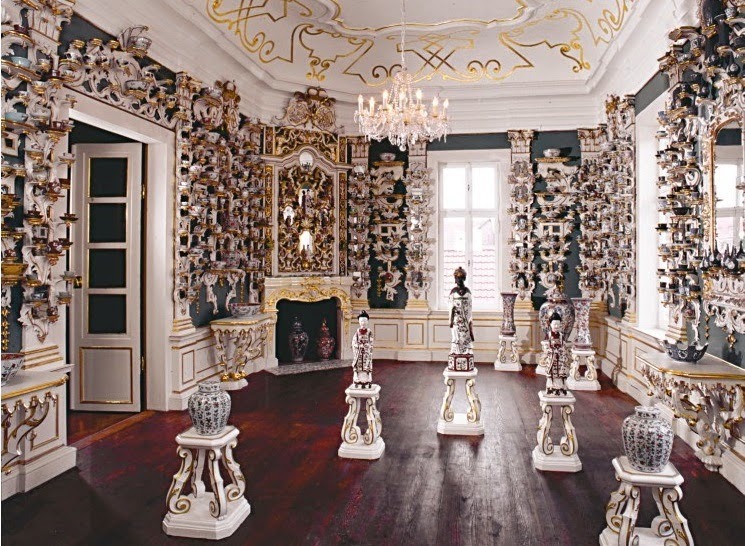 These porcelain rooms are breathtaking - internet research (for posts) is always a good idea! Well done.